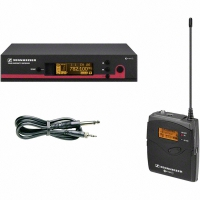 Line6 Relay G70, digital 2,4 GHz guitar wireless system comprising G70 Stompbox receiver and TB516G pocket transmitter, 24 bit / 48kHz, 120 dB dynamic range, 1,5 ms latency. 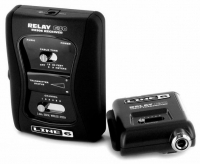 Line6 Relay G75, digital 2,4 GHz guitar wireless system comprising G75 receiver and TB516G pocket transmitter, 24 bit / 48kHz, 120 dB dynamic range, 1,5 ms latency. 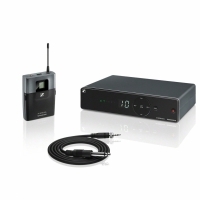 Instrument set with cable emulator for individual sound adjustment: EM 100 G3 true diversity receiver, SK 100 G3 bodypack transmitter, CI 1 instrument cable. 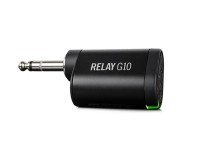 Guitar tuner function. AF frequency response starting at 25 Hz.